If any of these sound familiar, make sure you keep reading. Next we are going to discuss why every business needs a blog. Yes, even a local business in a boring industry. Did you know that B2B companies that blog 2x per month generate 70% more leads than those who don’t? I am sure you can see how this could create an unfair advantage for companies that blog. Now imagine if you doubled that and wrote one blog per week or four per month. Are you picturing the leads pouring in? Me too. When it comes to growing your business, new leads are the holy grail. Without them there is no growth. You might already be convinced that you need a blog, but keep reading to find out the other eight reasons your business needs a blog. One of the biggest barriers to success for a new business is a lack of industry credibility. Older, more established competitors typically have an advantage because they are known in the industry and their expertise has been proven. Blogging can help to remove this barrier and give your business the credibility it needs to compete to be the best. Start by brainstorming topics that potential customers might be interested in. For example, a store that sells bikes might write about “How to Replace Your Bike Chain” or “What to Look For When Purchasing a Bike”. These blog posts will help attract new leads, while simultaneously positioning your business as a go-to source for bike related information. Just imagine what being the go-to source for information in any industry will do for your sales. Inbound links, other websites linking to your web page, are a great way to improve your Google ranking, as well as extend your reach. Without a blog it is very difficult to earn these valuable links. As a matter of fact, companies that blog get 97% more inbound links than those that do not. If you are serious about increasing your organic reach and traffic, which you should be, blogging is a must. Give people highly quality content to link to and watch as the inbound links start adding up. Keep reading for more information about how blogging can improve your search engine optimization. Back in 1996, Bill Gates made a bold prediction that content would be where the real money would be made on the internet. Flash forward 20 years and this prediction could not be more true. A recent study found that 76% of marketers are planning to increase their content marketing budget in 2016, much of which will be focused on their blog. So, what does your blog have to do with social media? Everything. It gives you original content to share with your followers. Without original content, you will have very little to share and no way to attract traffic to your website. If your business is active on social media, you should have a blog. If you have a blog, you should be on social media. Use them together to create a business growing machine. Leads are great, but actual paying customers are even better. By strategically producing blog content, you can aid a lead through the sales funnel. Each lead will have a different journey, so it is important to create content for each step along the way. A great way to do this is to research popular search terms and questions. Often times lack of knowledge is a barrier for potential leads. Help to educate them not only about your product/service, but also the industry as a whole. More comfortable with statistics? Hubspot reported that 92% of companies that blog have acquired customers directly from it. We have yet to come across an entrepreneur that is an expert on everything related to their industry. I think we can both agree such a feat would be nearly impossible. With that said, we have seen a direct correlation between industry knowledge and long-term success. So, what does blogging have to do with this? It is simple: when you put together well-researched blog posts you get much smarter. Try writing a 2,500 word blog post about any topic related to your business. Unless you are a walking encyclopedia, chances are you will have to do some legitimate research. After you write 25+ blog posts you will look back on the experience and realize just how much you learned. Oh and the best part? Everything you learned will relate directly to your business and will help you to improve your bottom line. Thirty years ago the conversation between brands and customers was rather one-sided, with brands dominating the conversation. Luckily a lot has changed since then. The introduction of the internet, and then social media, has led to a massive shift in customer expectations. Now customers expect to be able to interact directly with businesses, often in real-time. When a company blogs, customers agree that it makes them seem more approachable. 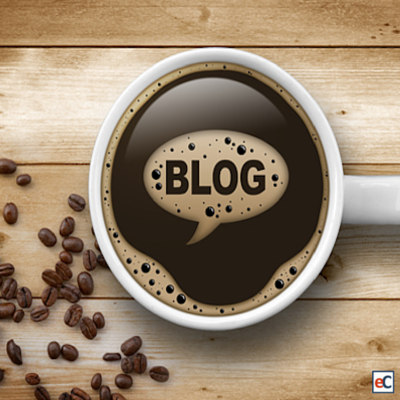 A blog is a perfect place to not only talk to your current and potential customers, but with them. By encouraging interaction through comments, businesses are able to build trusting, long-term relationships. If you are looking for brand advocates that will gladly help you grow your business, they might be lurking in your comment section. Do not ignore them. Empower them! Did you know Google makes up more than 40% of internet traffic? It is safe to say that search engines play a major role in being found online. When someone searches for keywords relating to your business, do they find your website or a competitor’s? If your answer is the latter, you need to improve your search engine optimization (SEO). For an in-depth look at how blogging affects SEO, click here. So, what is the ROI of blogging? It can be astronomical. Setting up a WordPress or Tumblr blog is free and the ongoing costs associated with blogging can be next to nothing. The benefits listed above should make it clear that there is plenty to gain and the costs are low. That is what we like to call an ROI dream. Are you convinced that you need to start blogging or increase the frequency of your efforts? Check out a few blogging tips before you get started! Does your business have a blog? We would love to check it out! Share the link in the comment section below and we will be sure to take a look. Running transport Business. The Charter. Transporting passengers and Freight. I studied transport at the University and logistics Currently I’m struggling to get customers due to market saturation. Please help me in whatever way you could. We would love to help in any way we can. Sounds like you are off to a great start, but are running into issues trying to get your content seen. Don’t worry, we all face this issue at some point. A couple things we would recommend are: investing in targeted ads on Facebook, Twitter or Linked, find niche groups/websites relating to the transport business and share you content there and lastly, be patient. I hope this helps and if you would like to discuss it more, just contact us using via email (you can find a contact us page at top right corner of our website).